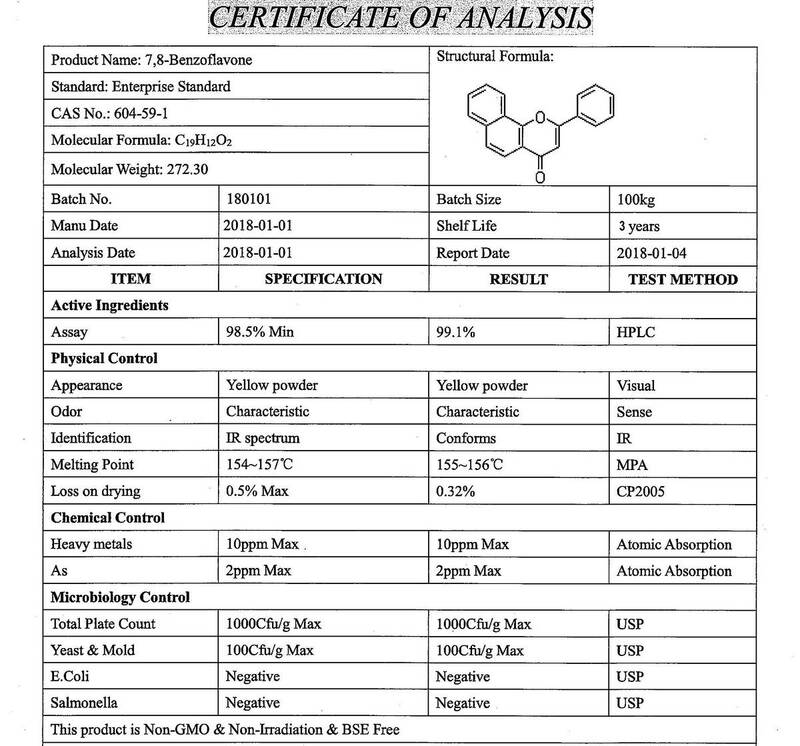 7,8 Benzoflavone Testosterone Boosting Anti-Aromatase Anti-Cortisol Complex. 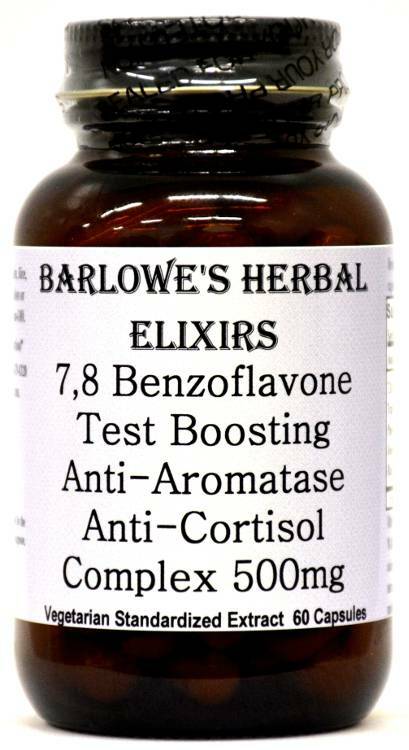 Barlowe's Herbal Elixirs now offers this product which has been scientifically formulated to increase testosterone, while also reducing its aromatase into estrogen and lowering cortosol levels. All ingredients are the highest quality and potency available. Bottled in Glass! No Stearates! No Fillers! No Junk! Trans-Resveratrol (98% by HPLC) - a strong anti-oxidant which has testosterone boosting properties and which also helps prevent aromatase. Trans-Resveratrol has also been reported to benefit and protect the cardiovascular system. 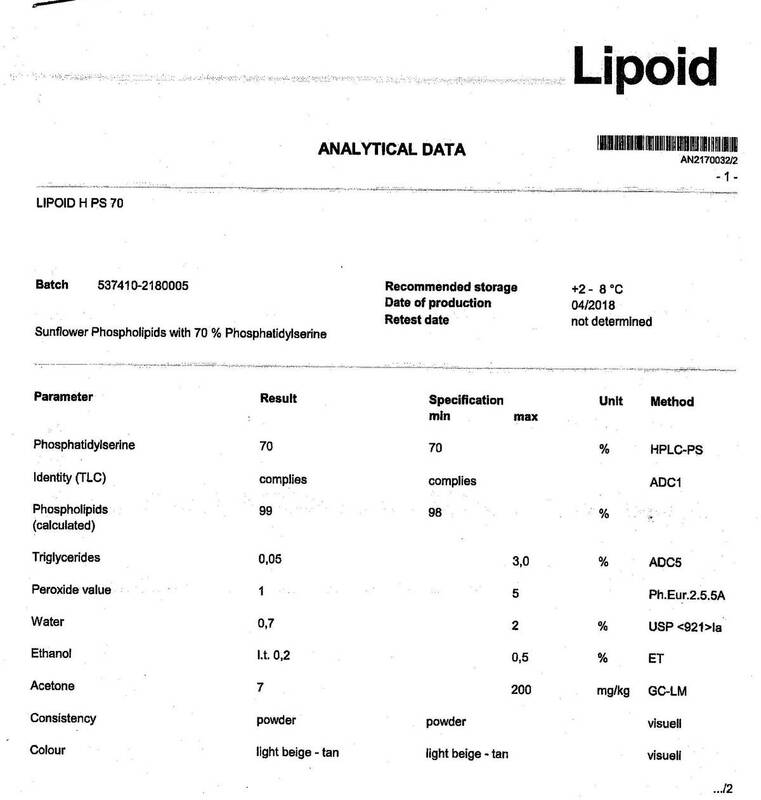 Phosphatidylserine (70% by HPLC) - one of the best natural substances to control cortisol levels. Cortisol is sometimes called the "stress hormone" because its levels rise following physical or emotional stress. Increased cortisol levels during and after exercise may lead to cellular breakdown and lengthy recovery times. Studies have shown that supplementation with Phosphatidylserine may decrease cortisol levels by up to 30%. Phosphatidylserine may give an added benefit as preliminary studies indicate that it may support healthy brain function and may prevent age-related mental decline. (Phosphatidylserine is an extremely expensive substance and most companies do not state the true amount or concentration in their products because most use a cheaper 20% Phosphatidylserine powder. Thus, a capsule with 500mg of the powder only yields 100mg of pure Phosphatidylserine. Barlowe uses 290mg of 70% Phosphatidylserine, yielding 203mg of pure Phosphatidylserine in each capsule of 7,8 Benzoflavone Complex). This Phosphatidylserine is derived from Sunflowers, not Soy!!! See the COA! Note: Phosphatidylserine can cause bloating and diarrhea in some sensitive individuals. Black Pepper (piperine) Extract (95% by HPLC) - an absorption initiator, Piperine may greatly increase the bio-availability of substances which the body generally finds difficult to digest or absorb. 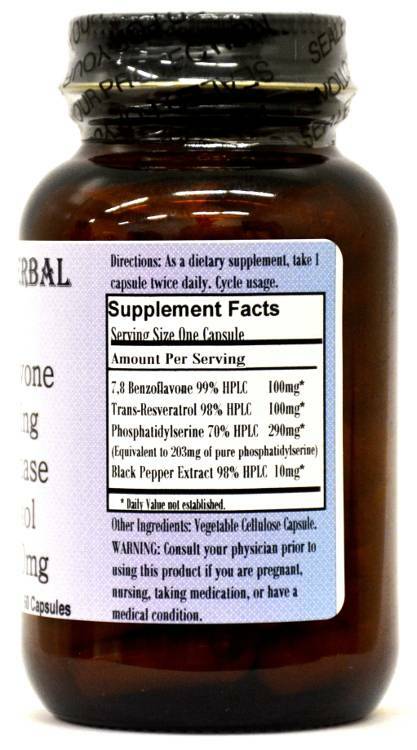 Caution: Barlowe's 7,8 Benzoflavone Complex uses only the finest quality ingredients. This superb product is generally safe, but it is potent and should be utilized with care. This product is for dietary use. If side-effects occur, discontinue use immediately! Note: Phosphatidylserine can cause bloating and diarrhea in some sensitive individuals. The above statements have not been evaluated by the Food and Drug Administration (FDA). This product is not intended to diagnose, treat, cure, or prevent any disease. Directions For Use: Take one capsule twice a day with water on an empty stomach. Results and usage amounts may vary based on body type and weight.